Assassin’s Creed Odyssey was one of last year’s top-selling games, and surely a worthy addition to the long-running Assassin’s Creed series. 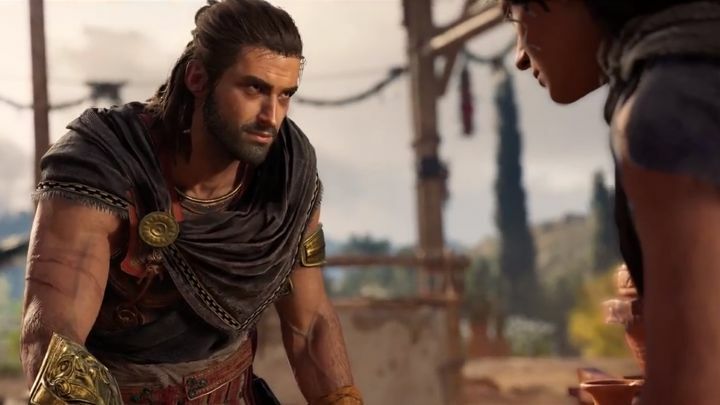 And one aspect of the game that many enjoyed is that protagonists Kassandra and Alexios can engage in a variety of romantic relationships throughout the game. Actually, the game gives players freedom to choose their romantic partners regardless of gender, letting players define the sexuality of their character in this adventure set in ancient Greece. This is why a plot development in the game’s Legacy of the First Blade DLC (which is split into three parts, with Ubisoft recently releasing part 2) might have rubbed some people the wrong way, as was recently reported on Kotaku. This is because in this second episode of Legacy of the First Blade the game’s protagonist (who can be either Alexios or Kassandra depending on player choice) is forced to have a baby with the daughter or son of would be Assassin Darius. This is even the case if you rebuff the romantic advances of the man or woman in question. Of course, depending on how players had been going about their business in the game up to this point (sexually speaking, that is) this sort of forced procreation might not be true to their character at all, and this has led to protests online regarding this plot development in Assassin’s Creed Odyssey. “Reading through player responses of our new DLC for Legacy of the First Blade, Shadow Heritage, we want to extend an apology to players disappointed by a relationship your character partakes in”, said Ubisoft’s creative director Jonathan Durmont in a post on Ubisoft’s forum. “The intention of this story was to explain how your character’s bloodline has a lasting impact on the Assassins, but looking through your responses it is clear that we missed the mark”, added Durmont. However, in order to calm down the rising storm, Durmont also made it clear that players do not have to continue this relationship in the next instalment of the DLC, which is due in March. “As you continue the adventure in next episode Bloodline, please know that you will not have to engage in a lasting romantic relationship if you do not desire to”, said Durmont. “Knowing we let you down is not something we take lightly“, added Durmont on Ubisoft’s forum. Despite the outrage though, the controversial plot development in Assassin’s Creed Odyssey’s Legacy of the First Blade expansion does make sense, if one takes into account what has transpired in the Assassin’s Creed series to date. After all, in the first and subsequent games up to Assassin’s Creed III bartender Desmond gets to relive the memories of his ancestors in the Animus, and the idea of ancestry and continuity is clearly a central part of the Assassin’s Creed story. Player choice regarding relationships is also important and increasingly a part of most video games these days too, so hopefully Ubisoft can find a way to please all Assassin’s Creed fans when the next instalment of the Legacy of the First Blade expansion comes out in a couple of weeks.